Welcome to PAC Welding Ltd. We supply all types of metalwork and welding services to fulfil both the commercial and domestic market. Established in 2004, we are a family run business that takes pride in offering excellent quality of welding and fabrication. We love what we do and this really shows in our work. PAC Welding can undertake a wide range of services for both the domestic and commercial sector. 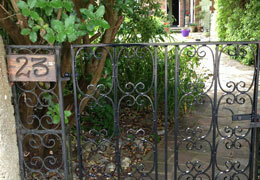 We specialise in bespoke handrails, railings, gates as well as balustrades, fire escapes and loft conversions. Our mobile facility means that we can come to you for on-site welding no matter the size of the job. 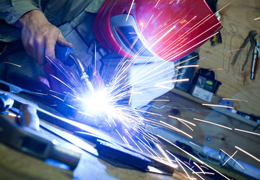 All types of welding undertaken from MIG, TIG to ARC Welding. WE NOW OFFER MACHINING WITH OUR IN-HOUSE LATHE AS WELL AS GENIE LIFT HIRE SLA 15. 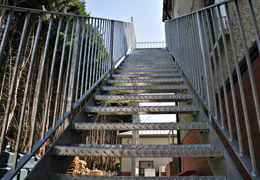 All types of work undertaken from a simple gate to a full size fire-escape. With our skills and expertise we are able to offer this unique service. We pride ourselves on being able to make and fit beautiful handrails, railings and gates to your home, giving you security and safety. All done to order.